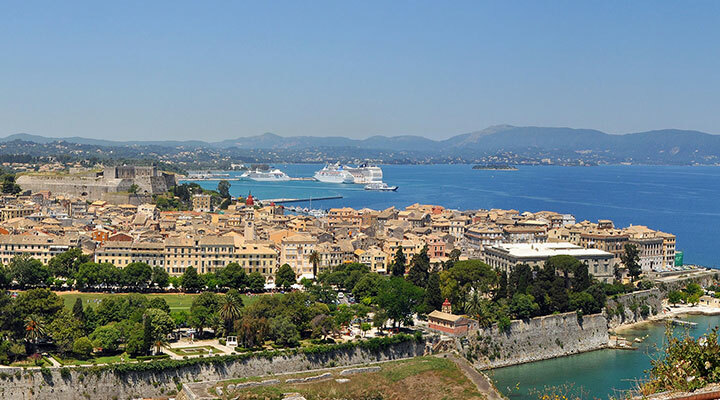 Finikas lines give you the opportunity for a day trip to the jewel of the Ionian Islands, the cosmopolitan island of Corfu .Departure in the morning and return in the evening with the boat of our line .The island of Corfu is located on the north western side of Greece. The Old Town is a gem for sightseeing, with the two Venetian fortresses, the interesting museums, Spianada Square and Liston Street, the wonderful paved street that is a copy of Rue de Rivoli in Paris. In a street beside Liston, is the church of Agios Spyridon, protector of the island its bell tower is the tallest from all churches of the town. ..